There are three things to know about the March for Our Lives on Saturday. One is that the protests banned speakers who support the Second Amendment — including student survivors like Kyle Kashuv and relatives of victims like Hunter Pollack. As far as protecting the lives of students is concerned — which is, ostensibly, the entire point — the march organizers were uninterested in an open conversation about what might actually be effective. The second thing to know is that President Donald Trump had already banned bump stocks and signed expanded background checks and school safety measures into law by the time the marches began. The speakers demanded legislation, but there was no more legislation to pass — at least, no legislation that would ever survive the Supreme Court. Many of the marchers simply want to repeal the Second Amendment. There was little room for discussion of reasonable proposals. The third thing to know is that the marches were backed by big leftist organizations, and accompanied by get-out-the-vote efforts. These are further signs that the marches are largely about mobilizing support for the Democratic Party in the 2018 midterm elections. The speakers made little effort to hide that fact. They called for national unity — against the Republican Party. The efforts of the Democratic Party and the institutional left are being amplified by Hollywood and the mainstream media. The gun issue is almost secondary: this is all part of a left-wing backlash against Trump’s election, and the opposition is using every weapon in its arsenal. They may succeed in November. But they will not stop there. 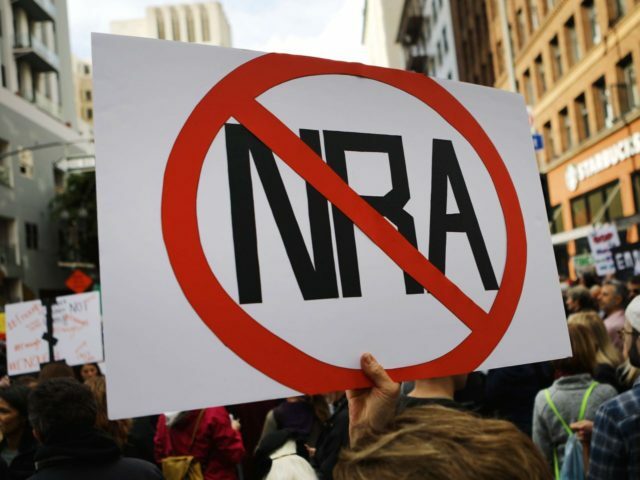 The marches have featured signs calling for the National Rifle Association to be banned outright. One sign attacked Sen. Marco Rubio (R-FL) — one of the moderate voices on this issue — as a “killer,” and questioned his Catholic faith. The “children” who are being impressed into service for the left — some savoring their moment in the “revolutionary” spotlight — are being misled by adults who should know better. They are being taught that those who disagree with them are literally their mortal enemies. And they are being taught to hate the Second Amendment before most have been taught what it is, or why it exists. Many of the marchers, last week and this weekend, chanted that familiar left-wing refrain: “This is what democracy looks like!” Perhaps so: mob rule is the crudest form of democracy. But the very reason we have the Second Amendment — and the First Amendment, which makes these marches possible — is that the Founders of our Republic wanted to put certain liberties beyond the reach of the majority. They understood that the dignity of the individual — including the inherent, God-given right to self-defense — could not withstand the temporary passions of the moment without special protection. And so it would be more accurate to say: “This is what demagoguery looks like.” If it is the model for the activism of the next generation, America is in grave danger. Those who own guns — or cherish the right to own them — should see these marches as a wake-up call. The rights and freedoms that make our country great are just one Supreme Court seat, and perhaps one election, away from destruction. Beyond the political frustrations of the moment, that is what is at stake in November.